Aekashics here, illustrator, hobbyst game developer and slime in charge of http://www.akashics.moe/ ! This very website! 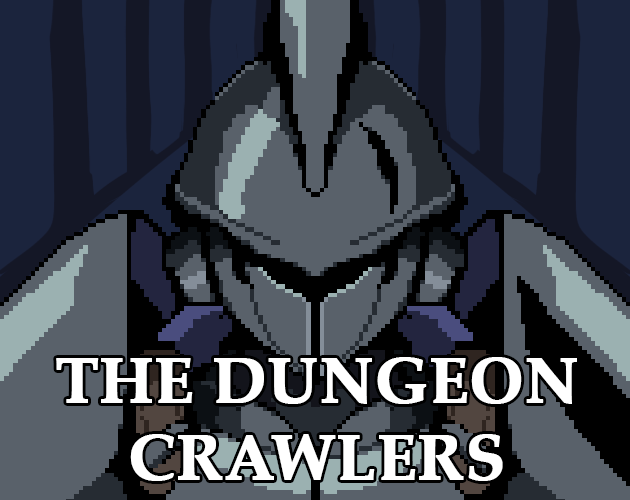 This month, as a side project and programming learning experience, I have decided to undertake the development of a short game called The Dungeon Crawlers. As the name of the project implies, this game will be all about dungeon crawling, but more along the lines of what is typically seen in roguelikes. But it will certainly not be a roguelike. At this point I’m actually not even sure what The Dungeon Crawlers will end up playing and feeling like, but a start this loose is also part of the experience I am after with this endeavor. As far as visuals go, the very few materials currently available, relay the idea of the atmosphere and graphic feel The Dungeon Crawlers will see. If you are interested to see how this venture pans out, feel free to follow my progress through a series of devlog posts I will be doing over the course of December! Thanks in advance for your interest in my work. See you there! Librarium Animated – Thunder Titan Dynamo !